A big part of the ASM meeting for me was thinking about the role I envision for myself within the microbiology community, and how it will intersect with soil science, biogeochemistry, (and hopefully policy, too). The field of microbiology is so wide, and there are so many exciting techniques, both classical and new. I’ve been thinking about which approaches I want to just understand vs. apply to my own work vs. actively develop further. It’s funny, in some ways, entering the field at this exciting time. (Or has it always been an exciting time to get into microbiology? I kind of think right now is special.) 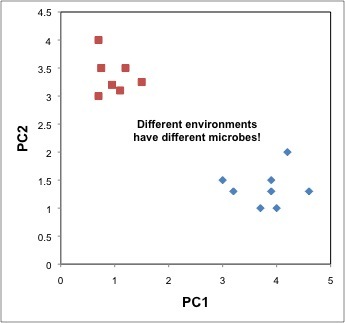 The sudden capacity for and influx of data from massive-scale sequencing of environmental microbial communities has opened up a whole world of possibilities. However, from something of an outsider’s perspective, it is a bit bewildering to look around and see a lot of projects that seem to be just focused on “seeing what’s there” (without being studies of the “rare biosphere”).